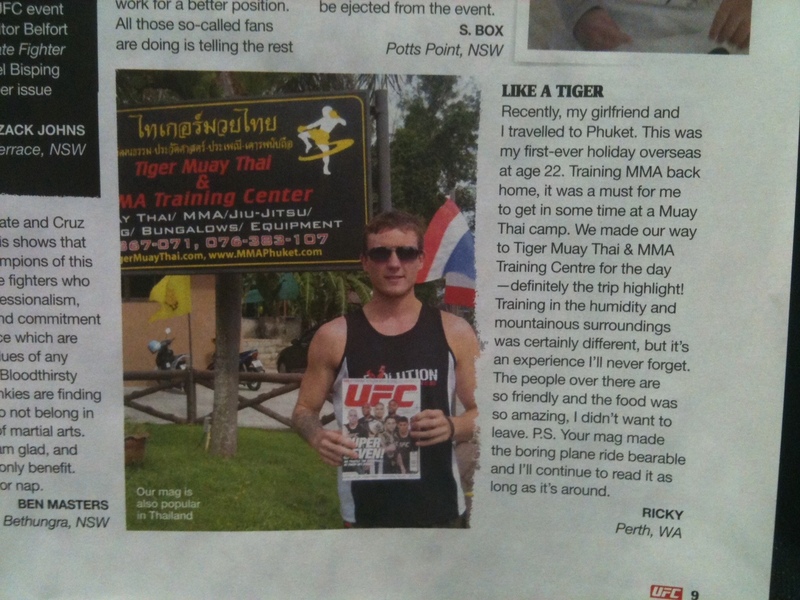 Thank you Ricky for the kind words on Tiher Muay Thai and MMA, Phuket, Thailand in the latest UFC The Magazine on news stands in Australia. Ricky 22 years old, had never traveled internationally when he decided that Tiger Muay Thai was the perfect gym for him to train at in Thailand. Getting in a day of training at TMT was a once in a lifetime experience, which lead him to write the editors of the magazine. Loving the mountainous surroundings and humid training weather, Ricky enjoyed his trip and Tiger Muay Thai is looking forward to his return.